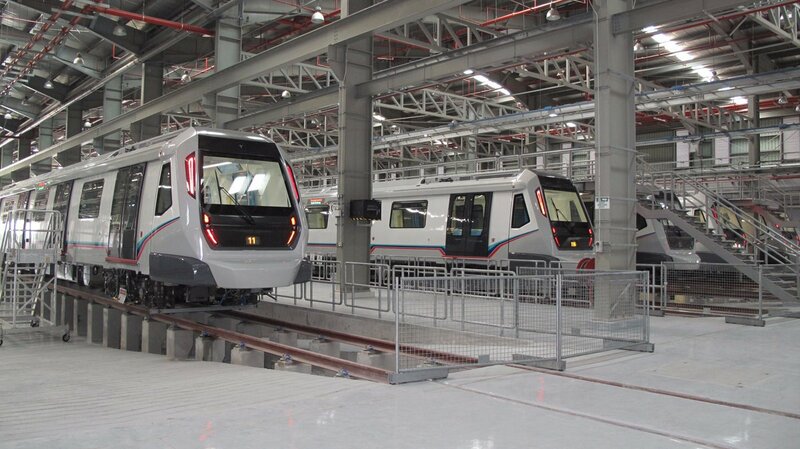 MRT Sungai Buloh - Kajang line, Malaysia largest infrastructure project. 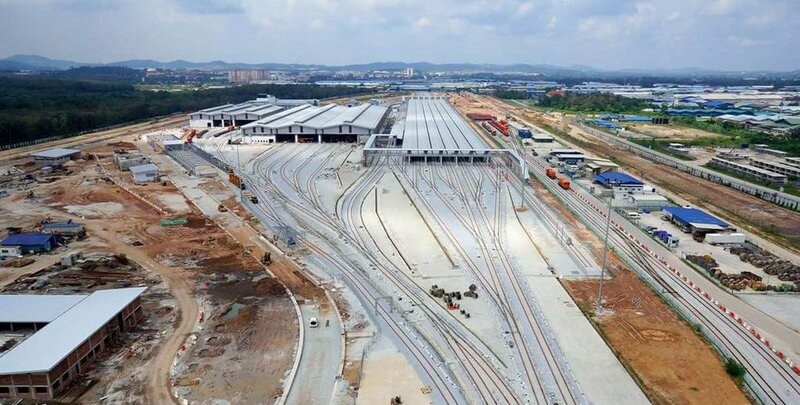 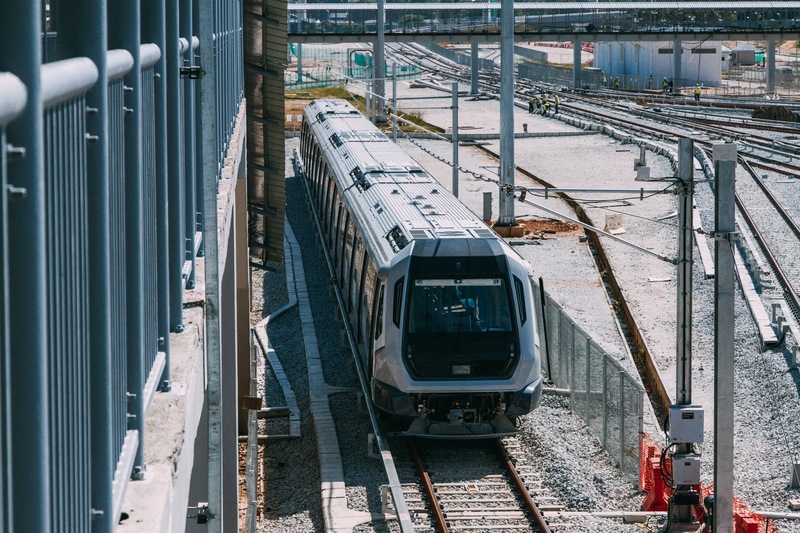 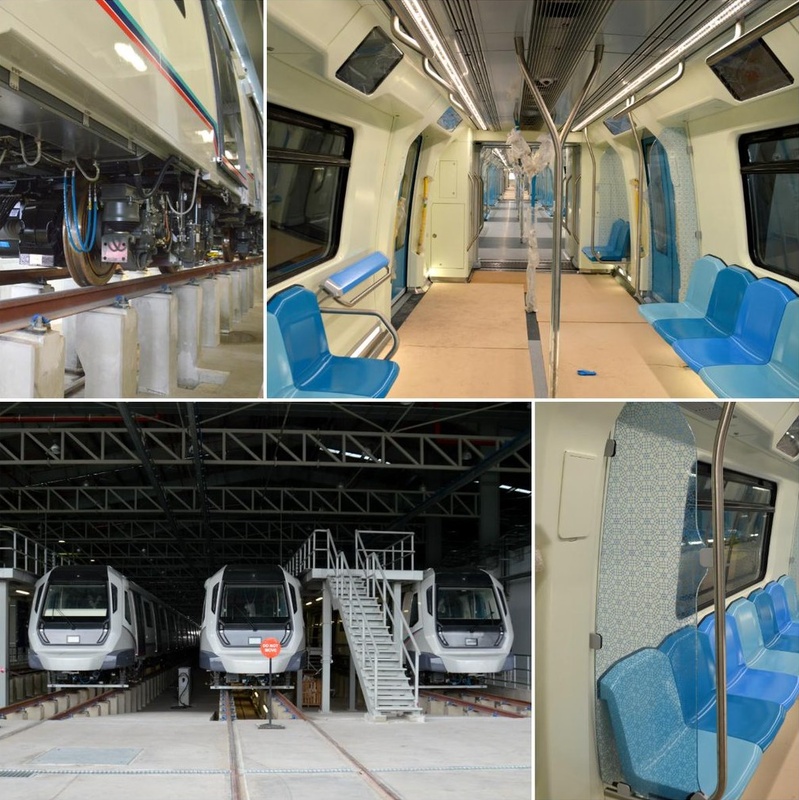 Among one of the biggest train depot in the world (Southeast Asia biggest), the Sungai Buloh MRT Depot is build to cater more than 1 million MRT passengers per day along Sungai Buloh Kajang line, and the future MRT line 2. 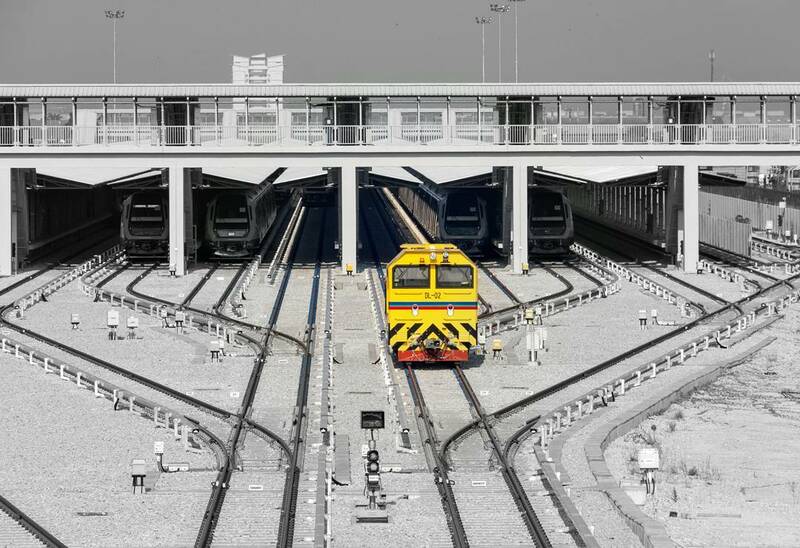 Located on 162 acres construction works on this depot started since June 2011. 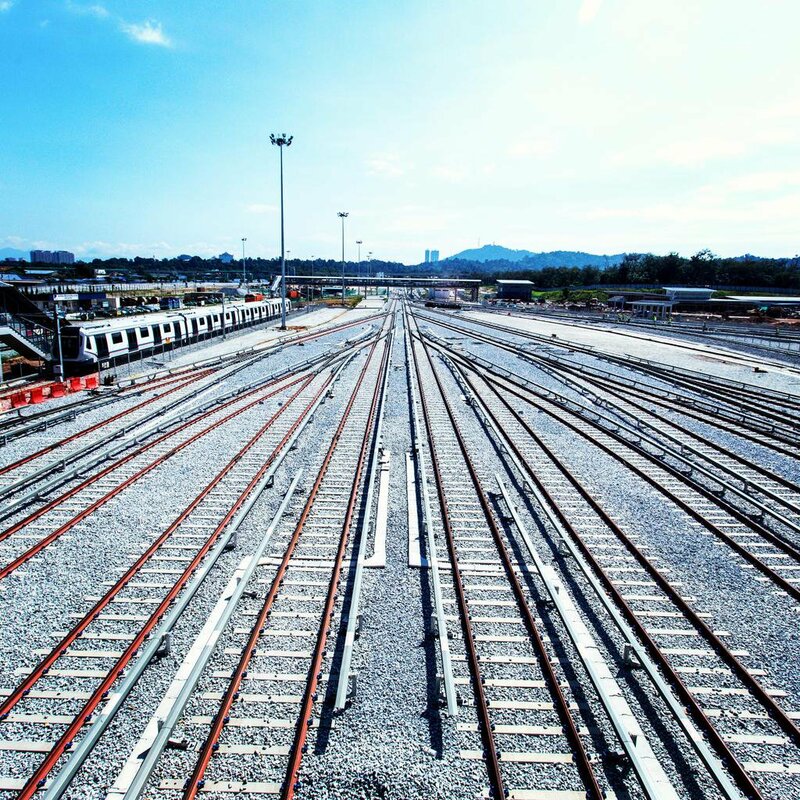 Since then, you can see the main Sungai Buloh MRT depot building such as Electric Train Stabling Yard, Rolling Stock Maintenance Office & Works Train Stabling, Infrastructure Workshop and Administration Building & Operation Control Center. 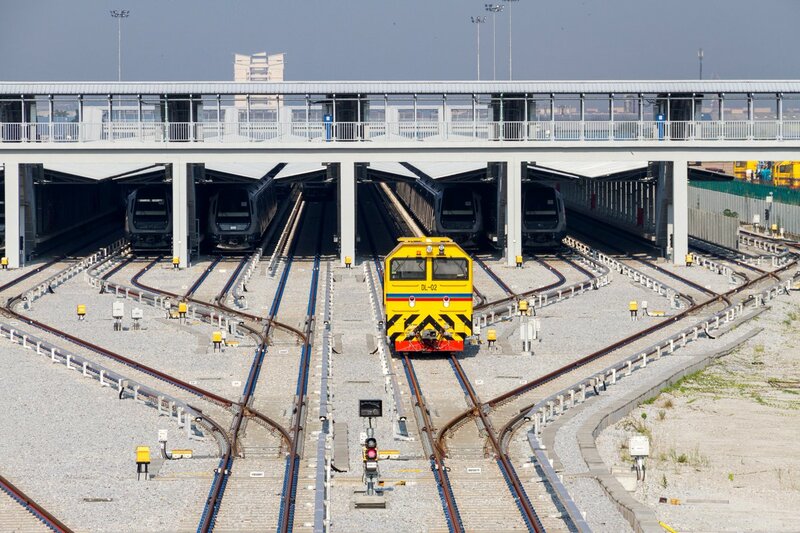 The very long Electric Train Stabling can park 66 trains of 4 cars (1200 passangers) each. 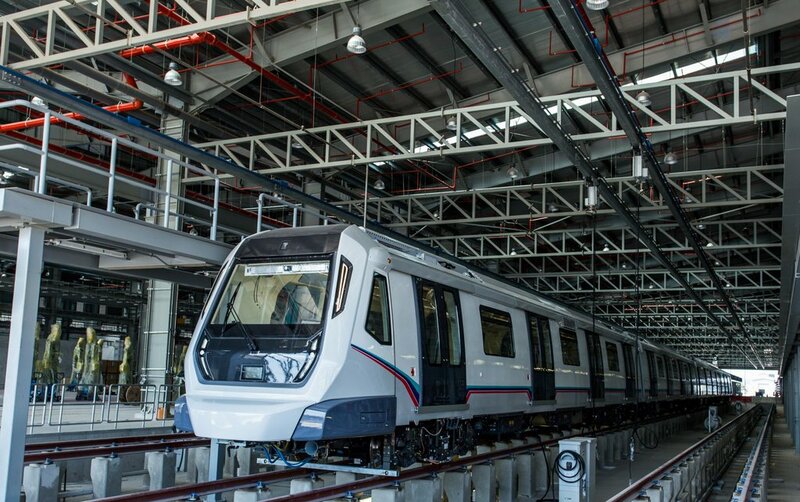 Work Train Stabling building is the big roofed building where the newly arrived BMW Group DesignWorksUSA MRT Trains parts being put together, tested/ repair all in-house. 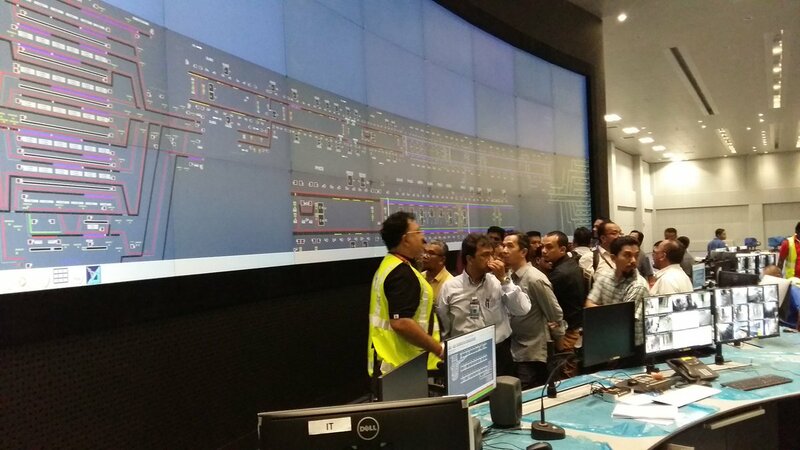 Operation Control Center (OCC) is the brain where you can see the huge 1231mmx3488mm mimic LCD screens installed on the walls to oversee the driver-less automatic MRT train movement and tracks huge network conditions along Sungai Buloh - Kajang (SBK) MRT operation. 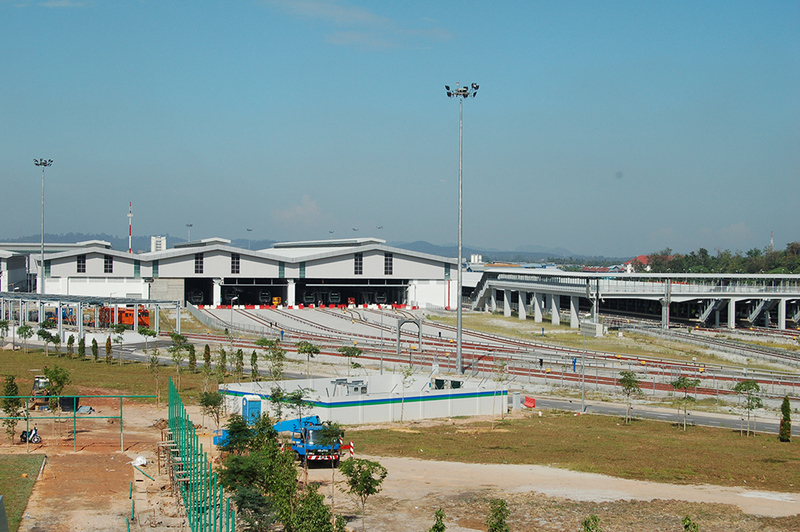 This MRT Sungai Buloh MRT Depot and its SBK line completion alone used about 9,000 labor/ construction workers. 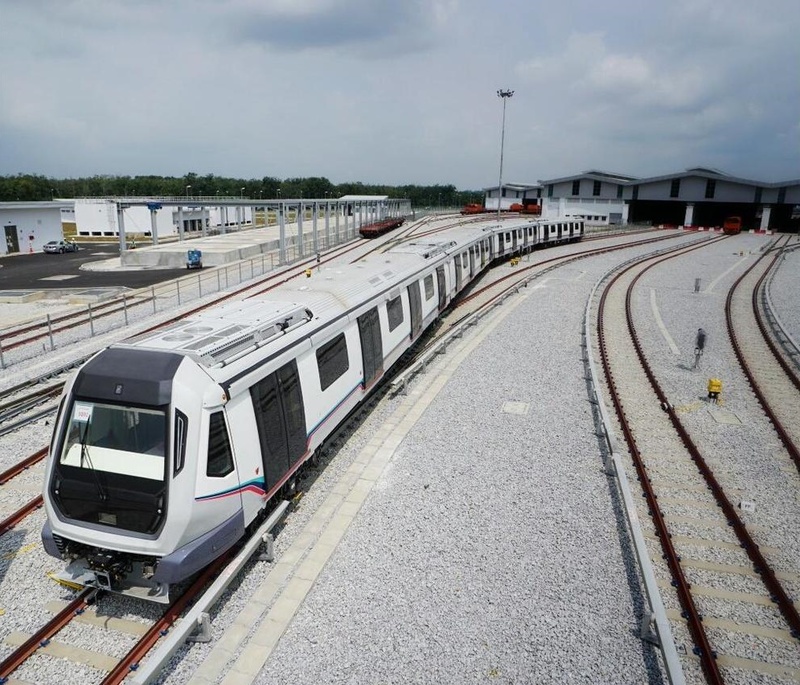 All 58 trains are being tested and prepared for the launch of Sungai Buloh-Sematan line this December 2016. 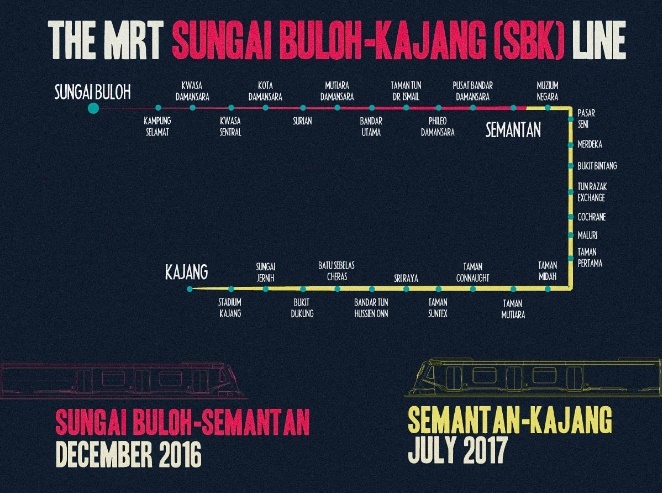 The whole 51km SBK line of Sungai Buloh to Sematan and to Kajang, with 31 MRT Stations consist of 24 elevated and 7 underground stations, will be operational at the end of 2017.